In 2017, RILA embarked in a project that would bring to life its collection of Latino stories, based on the oral histories of Rhode Island Latinos collected by Marta V. Martínez, oral historian and RILA's Executive Director. A series of workshops were offered from April to August 2017, which set the stage for this next phase in the project. Beginning in 2019, Nuestras Raíces: Latino Histories of Rhode Island will become a series of monologues led by RILA teaching artist, Marcel Mascaró. They have already directed the first in a series of Nuestras Raíces monologues, the first which is scheduled for debut in March 2019. Take a look at an example of Marcel's work below. Marcel is a 2018 graduate of the Brown-Trinity MFA Program and from February to March will be leading six workshops on how to write and perform a monologue. The fee to attend each workshop is $25 or $120 if you sign up in advance for the entire series. No refunds after the second class. Registration opens in January 2019. Community Organizations or Schools: Marcel and Magnolia, featured below, will provide a bilingual monologue followed by Q&A on the process of Theatricizing Oral Histories. 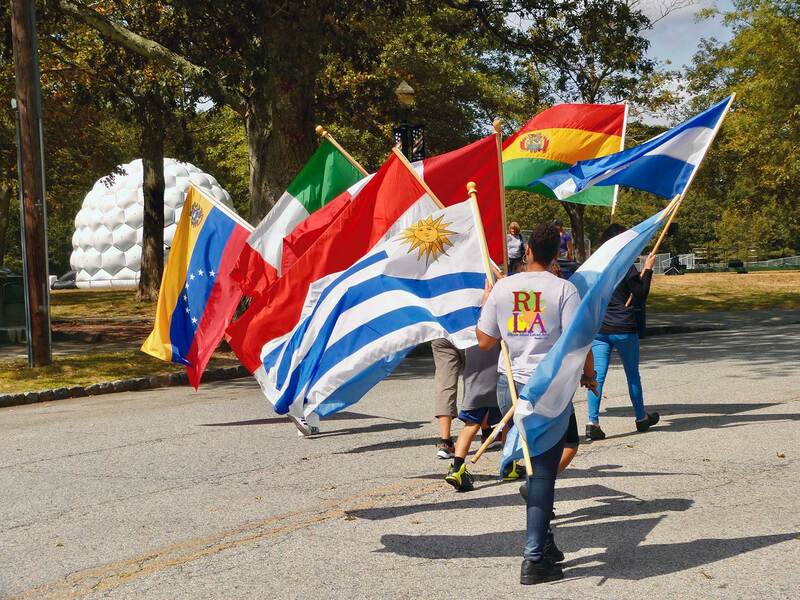 Their presentation will include a discussion on the story of Dominican immigration to New England and the impact that Rafael Trujillo still has on today's generation of Dominican-Americans. If you would like to host Teatro Latino @RILA for a performance of Fefa y Su Bodega: A Newcomer's Story, contact us at: info@rilatinoarts.org. A $250 artists stipend will be requested of hosting organizations in Rhode Island. Our fee varies if we travel outside of Rhode Island. Please inquire about a school or library rate. A refundable $25 deposit will ensure we hold your registration date. Fill out the booking form below to request a performance. A deposit is not required, but advance payment will ensure that we hold your preferred date. La Historia de Josefina "Fefa" Rosario: El impacto que Rafael Trujillo dejó en la comunidad dominicana de los EE.UU.